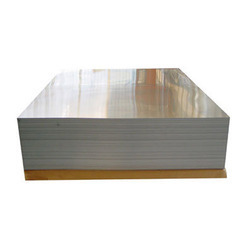 Providing you the best range of gp sheets, gp sheet, galvanized color coated sheet and galvanized plain sheets with effective & timely delivery. We are the leading trader and supplier of GP Sheets. These are appreciated by our clients for corrosion resistance, high durability and long service life. These sheets are available in several sizes, dimensions, and shapes to suit varied requirements of our esteemed clients. We supply these sheets at affordable prices. GP Sheet offered feature quality construction finish and comes in thickness options of up to 0.5 mm, width choices of 900 to 1250 mm a well as in different coil weights of up to 5 MT. 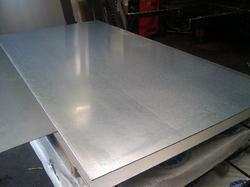 Further, these sheets come in cold rolled finish with zinc coating mass of 70 to 100G/M2. Some of its features include superior galvanized finish for delivering optimum corrosion resistance, having thickness tolerance of +/- 0.02mm and width tolerance of +/-0.02mm; finding application in areas like making of roof board and grill, in casing of household electric appliances, in making automobile part, as base metal of color-coated steel sheets; choice of OEM specifications as demanded by the customers. Galvanized Color Coated Sheet offered comes in quality construction finish and find use on roof and walls of factory building, cold storage containers and residential spaces. 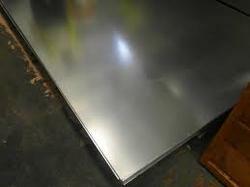 Further, these coated sheets can also be recycled, thus providing to be eco friendly in usage. Some of its features include available in different industry standards like JIS, ASTM, EN and others; choice of both soft and full hard options, different surface finish in with/without protection film covering, thickness range of 0.16 to 1.20mm, coil widths of 600 to 1250mm, available in both sheet and coil forms, coil weight of 3 to 6 tons, also used in industrial freezers among others. Galvanized plain sheets offered come in different thickness options of up to 4.0mm, in widths of up to 1500mm and lengths as demanded by the customers. Further, these sheets can be offered in variations including regular spangle, zero spangle and others in soft or hard finish. Some of its features include choice of different surface treatment options like chromated and oiled, non-oiled, anti-finger print among others; application usage in areas like ceiling channel, industrial refrigeration, door panel, PU panel, to make roof board, for casing of household electric appliances, to make parts of automobiles; can be offered in OEM specification choices.